We’re looking to run WordCamp Asia in 2020! 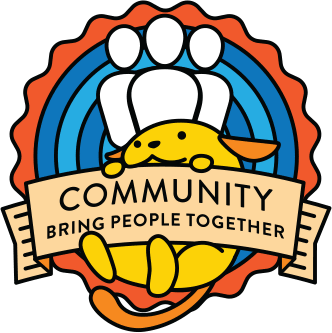 In 2015, at the Community Summit in Philadelphia, a few of us got together and started talking about how great it would be if a WordCamp would happen in Asia that would serve to bring everyone together across the many separated land masses. We continued talking through various regional WordCamps (WordCamp US, Europe) and other city WordCamps around the world. We had a pretty major meeting in WordCamp Europe (Paris) with a fair bit of WordCamp organisers in Asia present alongside key WordCamp Central deputies to talk about working this through. This spawned a P2 post last year. We were recommended by prominent members in the WordCamp Central team to keep growing new city based WordCamps to make this a sustainable approach. WordCamps in Asia have reached a critical mass that will enable a successful regional WordCamp. We believe that running this WordCamp will contribute directly to long term efforts in fostering WordPress interest in countries that lack it. With the continued successes of WordCamp US and WordCamp Europe, alongside the newly established and incredible WordCamp Nordic, we believe that Asia complements the effort created by all these regional WordCamps. The WordCamp organisers in Asia have gone around volunteering, co-organising at other WordCamps. Many have also actively become mentors for new WordCamps in Asia. We also have mentorship support from a Lead Organiser of WordCamp Europe. We want to ensure that the WordCamp Asia is successful – and we’d like for you to tell us how! We’d like to leave this post and the proposal open for comments until 12 April 2019. After which, we’re hoping to get the go-ahead from Central to get things moving! So I excited that this is finally coming together. Looking forward to finding a a way to help. Great news. So happy to see this happening. Great News! Nepal is already excited for it. This is great – thanks for such a detailed proposal! 1. Based on the proposed organising team, it looks like all of the organisers are from South-East Asia – this isn’t hugely surprising given that most WP community activity in the continent is in that region, but it is something worth improving. My concern, however, is that by not having organising team members in the other areas of Asia it will effectively turn this into a “WordCamp South-East Asia” rather than “WordCamp Asia”. It would be really great to see representation from India, Israel, Turkey, Lebanon, U.A.E, Russia, and other countries on the organising team in some form – is that something you have a plan to work on by changing the name of the event, or (better yet) increasing the national representation of the organising team? 2. The proposed organising team is relatively male-heavy – gender diversity is something we strive for all across the WordCamp program and it would be great to see regional camps exemplify that diversity goal. Do you have a plan for increasing the female representation on the team? 3. Q1 of 2020 makes sense to not clash with WCEU or WCUS, but it does seem quite soon to organise an event of this scope. It’s not impossible of course, but seeing as though we’re at the end of Q1 2019, that gives you less than 12 months. Do you feel that’s doable? Hey @hlashbrooke! Thanks so much for the questions. It’s exactly what we need! Hey. So we’ll definitely see representation from countries like India, Pakistan and likely a few that I can’t think off the top of my head. There have been quite a few people involved in proposing, planning and discussing (face to face or otherwise) and simply hadn’t had the chance to put their names up yet! So far there have been light discussions to suggest that we may do a 2 persons per country setup to be involved in the Global Team to bring in as many countries as possible while keeping the organising team lean (as a start). The current team you see now is a representation of a few people who pitched in to get the proposal ready. Once the lead organiser has been elected, we would expect the Global Team to be re-made. Diversity will be quite a key focus that we’ll be looking at from the start of forming the teams to the end of the event itself. Asia itself is quite a bastion of ethnic diversity, so we’d definitely want to extent that and keep as many areas of diversity covered! In short: We do want to increase female representation! The timeline of WordCamp Nordic was very similar to what we’re suggesting here. While we can’t promise that we’d be as fantastic as they were, we are striving towards it. That being said, we’re not unopposed to pushing it back if it’s not ready. The quality of the event matters a lot to us! I would mention that WC Nordic covered a much smaller geographical area and fewer countries, making it somewhat less complex than WC Asia. That being said, if you feel confident that this timeline works then that sounds good to me. I would expect nothing less from you and this team – great work all round on getting this together. This is exciting and a long time coming 🙂 Kudos for putting together a first proposal and start forming a team. I left some comments in the file itself. In addition, I think to pull off this kind of events it should be a must to have a mentor that is a senior WordCamp mentor in the Community team, involved almost daily with the activities and that has enough experience with mentoring and Community policies to stear the event in the right direction. Best of luck, can’t wait to visit another regional WordCamp! Wow, what a great news! Finally, we have a movement on it. Glad to see it. How does Australia & New Zeland play into this regional group? Australia and New Zealand are in both the Asia Pacific and Oceania regions but not the Asia region. The proposal here is for WordCamp Asia as such this does not include the Aussies and Kiwis. Seriously though congrats guys, I know it’s been a long time coming. We’ll be coming over for it for certain! Finally.. this is happening! Super excited! This is such a good news. Looking for more update on WordCamp Asia. Nice! I’ve added information for WC Mumbai and Mumbai WordPress. I would like to help in any way possible, I have been a WordCamp Organizer since 2014 and briefly a WordCamp Deputy. It is really great news. We are really excited to be a part of #WCAsia and ready to serve at our best. Really awesome. It’s a great move for all Asian WordPressers. Excited to be a part of WordCamp Asia. Wow. Its amazing. It will be big. Love to be part of this community. Will try to help this community as my best. Great news. At last Asia will acquire WordCamp! I wish the best! From my point view, I left some comments in the file itself and I hope to find theme useful. With a clear mind, in the next few days I will look at it again and I believe to write elsewhere my opinion. I want to believe that this conference will be a good reason to visit Asia. Kudos! The Asian region has distance and language barriers. But I think that there is a big meaning to go over it and actually meet and do WordCamp. Glad to know that we are representing the WP Lahore Community having second most members & meetups. We look forward & ready to contribute to the community in any way. Super exciting! Can’t wait to join it! Look like dreams come true. Last year we had some discussion on WordCamp Asia. I am excited to see this happen soon however, I would like to draw some intentions to the size of the WordCamp Asia, right now the expected audience from each country is unrealistic for the first WCASIA . I suggest add more countries and expect at least half of the given numbers of audience. This would help you in many ways like you would have more venue available since the size is reduced, you have fewer expenses and thus your sponsor’s team will have to spend less time getting sponsors and other stuff. As @hlashbrooke said, we are at the end of Q1 which means we have a quite short time to organize camp. Since this is the first Camp of this nature, it would take more effort, time and resources. @Jon (Kenshino), Thank you for sharing this amazing News. Kudos to the team, to start this over. Ahmedabad Community is excited already; I would be glad to be a part of #WCAsia, it’s like a Dream Camp, same as #WCUS and #WCEU, this will be a huge chance to network, communicate, learn, support and grow together. Hey all just to give everyone an update. We’ve created a criteria to select the Global Lead and members of the organising Team. The criteria is being finalised by Monday (15 April) and if you’d like to help shape it, feel free to join our Slack instance to talk about it. We’ll likely send out a call for organisers soon and detail the selection process there. If you’re hoping to pitch in to the proposal that will form the outline of our WordCamp Asia planning, please do so by the end of today! Super Excited and would like to be the part of this dream camp. Congrats on the hard work, super excited to help in moving it forward. This is a great development. We at WP Delhi NCR Meetup Group will do whatever possible to make this a super successful WordCamp.